ArtisTTable Art Retreats – Taking Creative Minds to Inspiring Places! Taking Creative Minds to Inspiring Places! We dare to be different, we design experiences that create opportunities that fulfill artistic needs. Our art retreats and workshops open hearts, minds and bring creative people to inspiring places. Inspiration is essential to our well being. When it comes to art, inspiration is that which breathes life into a work. But when it comes to life itself, inspiration is that which keeps us at wonder, that which allows us to find beauty in the everyday. And yet, how many of us find ourselves uninspired for days, weeks, or even years on end? Uninspired by our jobs, our environment, or even our own art? 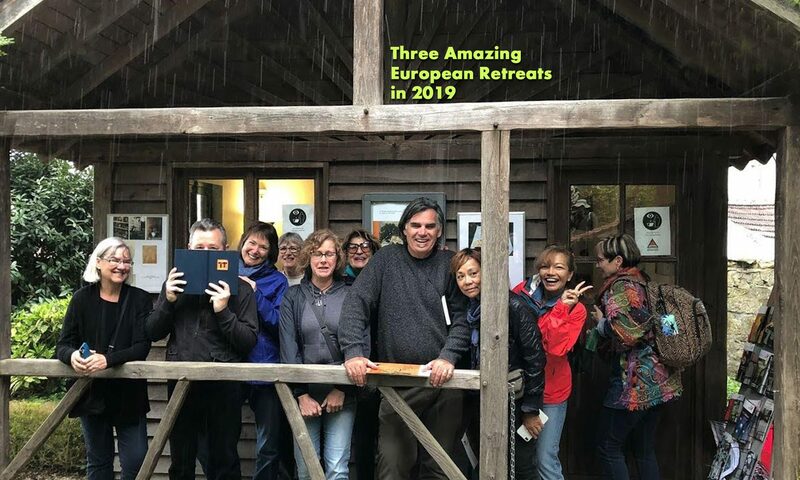 At the ArtisTTable Art Retreats, our core goal is to reconnect you with your most inspired self. Our retreats, set in several of the world’s most breathtaking corners, are designed to encourage creation above all else. So allow yourself to unblock that block, to take that step toward inspiration, and come join us at ArtisTTable Art Retreats! What do we offer at ArtisTTable Art Retreats? • Dazzling locations, from the rolling hills of the south of France, to the awe-inspiring craters of the Negev desert. • The space necessary for inspired creation: whether it be an open field, a solitary room, or a group outing. Who can go on retreat? The ArtisTTable Art Retreats are open for anyone who is looking to get inspired. Are you interested in the ArtisTTable Art Retreats, but don’t consider yourself an artist? No worries! At ArtisTTable retreats, each individual participant is given the tools for creation: the end product is up to you. Over the years, we have had writers, musicians, and visual artists of all media join us—but also business professionals and entrepreneurs looking for inspiration in an unexpected place. In other words: no matter your personal profile, if creativity is what you’re after—then ArtisTTable Art retreats will be right for you. For more information and testimonials, see here. Want to be kept up to date on our upcoming retreats and other activities? Sign up by emailing us at: info@ArtisTTableOnline.com Type “Subscribe” in the subject line.